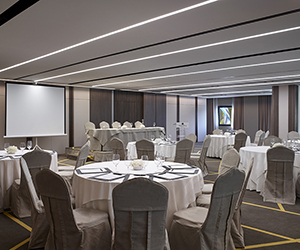 The impressive multipurpose room at the rooftop area of the Civitel Olympic Hotel also represents an excellent venue for prestigious events with a stunning view over Northern Athens. 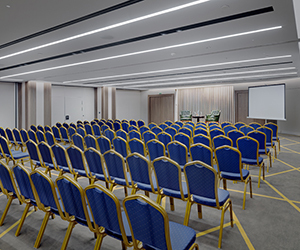 Being the largest conference space in the property, spreading over 300 m2 and capable of holding up to 290 people in cocktail or reception style. When the weather permits, the Roof Garden is unsurpassed for its sunset views and relaxed atmosphere, offering a unique experience. 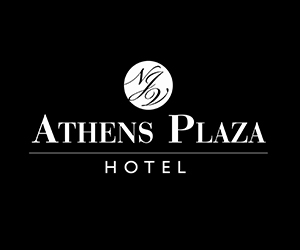 Athens after all is famous for its mild, sunny weather most of the year. A state-of-the-art audio visual equipment adds to the conference experience with the support of our expertise technical staff. A talented lineup of chefs is always standby for sophisticated buffets, meals or coffee-breaks.